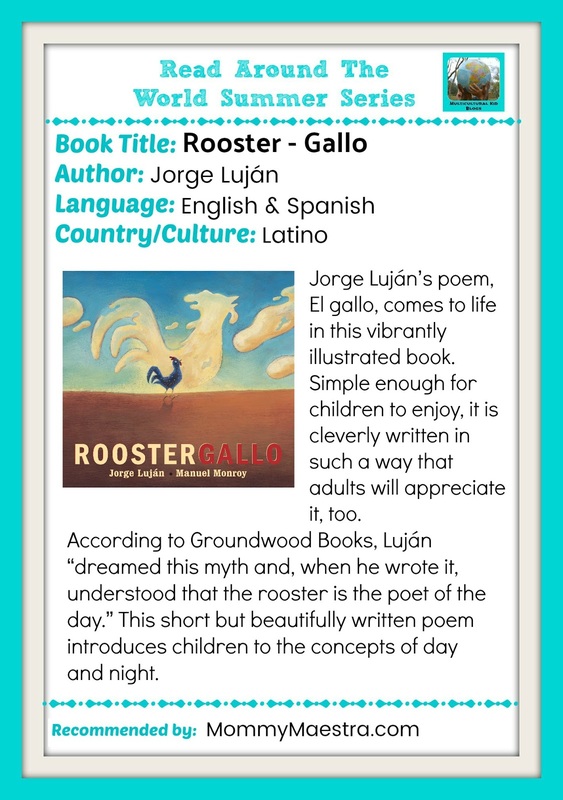 For the last several years, I've enjoyed participating in the Multicultural Kid Blogs' Read Around the World Summer Reading Series. It's an opportunity for your family to travel the globe from the comfort of your own home... or library! Over the summer, MKB blog members share their favorite book recommendations to help our children travel around the world through literature. Today, it's my turn to share a book with you. 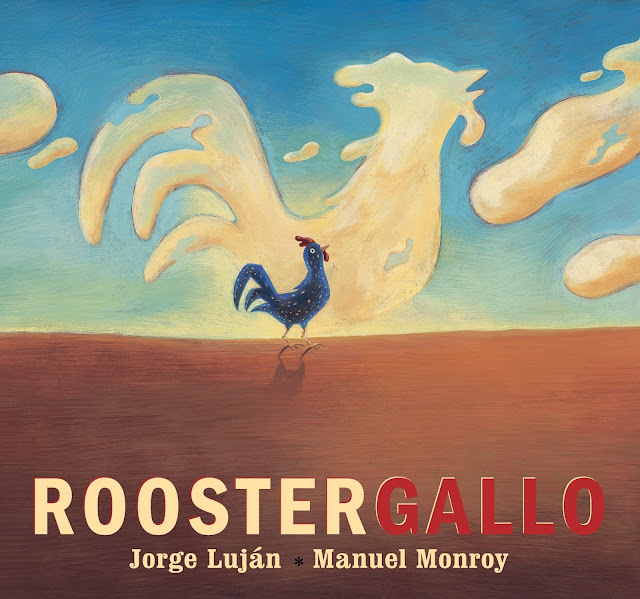 My book's age range is 0 - 5 years old, so I chose this lovely book by the Argentine-Mexican poet, Jorge Luján. You can purchase Rooster Gallo via The Latin Baby Book Club (aff link).